Nidec Corporation is one of the world’s largest manufacturers of industrial components, with annual revenues typically in the region of $11 billion. The Japanese company’s technology can be found in products ranging from robots to computers, from cars to washing machines, and beyond. There probably isn’t a machine builder on Earth who has not used or has at least considered using Nidec components at concept or production stage. In the computing sector, for example, Nidec is said to have the largest global market share for the tiny spindle motors that power hard-disk drives. Which means that the computer you’re reading this on is likely to have a Nidec component inside it. In this exclusive article, senior Nidec executives provide Robotics and Automation News deep insight into the company’s activities, performance and culture from many different perspectives. The company was originally founded in 1973 in Kyoto, Japan, but established a presence in the US within a year. Nidec’s initial product offering was the brushless direct current motor, which is still one of Nidec’s main lines of business 45 years later. Brushless DC motors can be found in almost any machine or device, from early video cassette recorders to computer drives. They are also used in industrial robots, computer numerical control machines, electric bikes, and automotive vehicles, among many other things. Brushless DC motors, as the name suggests, do not have the brushes that mechanical motors have – they use magnets instead, which means they last longer, work faster, operate more quietly, and, because they are computer-controlled, are more precise. In fact, computing technology enabled or allowed brushless motors to be invented, and they have all but replaced brushed motors in most industries because, even though brushless motors cost more, continually replacing brushes which wear down is one of the many disadvantages of the previous technology. Motors are probably still Nidec’s main business, but the global trend towards electrification – of cars, bikes and other transportation technologies, in particular – is providing the company with new opportunities. As well as supplying various valves and pumps, Nidec has also developed hydraulic systems and electric units for automotive applications, a market which it seems to be particularly interested in, given its recent $260 million joint venture with PSA as well as its other investments. The other investments include Nidec’s purchase of a 70 percent stake in Desch Antriebstechnik, a German manufacturer of large precision gearboxes. It’s one of five German companies Nidec is looking to acquire over the course of this year, after recording it’s “highest-ever profit” in its most recent financial statement. Additionally, Nidec is broadening its horizons and looking into entirely new markets, last year launching an automated guided vehicle for supply chain operations. In summary, however, Nidec’s business is based on motors, which are used in just about every machine. As the company itself says, it specializes in “everything that spins and moves”. And although it’s probably not very famous outside of the industrial sector, we may see and hear more about the company going forward. But now, back to the interviews and insights from Nidec executives, which we present below in the form of questions and direct answers. Nidec’s market capitalization is significantly more than $40 billion. The company employs almost 110,000 people worldwide. As you can see, at root, it’s all about motors – or things that spin and move, which probably describes the fundamental activities of pretty much everything in the universe really. R&AN: What are Nidec’s main products, markets and business areas at the moment? Which ones are growing fastest? Nidec’s business has been centered on electric motors since our foundation but we have also branched out into other areas like cooling fans, speed reducers, electronic components and sensors, industrial generators, automated guided vehicles, and even large mechanical presses. Most of our products are either motors, peripheral components or machines that rely on motors to function. Traditionally, our forte has been small precision motors, particularly spindle motors for hard-disk drives, but for a while, we have been shifting our focus to other areas. HDD spindle motors made up about 25 percent of our revenue at the end of the fiscal year 2012 but by the end of FY2018 that number had dropped by roughly a half to 13 percent due to the growth of our other businesses, even though sales of HDD spindle motors actually increased over the period in terms of absolute numbers. Our current growth markets are automotive motors, components for home appliances, industrial and commercial applications, and robotic components like speed reducers. The automotive segment, in particular, is seeing strong growth. We have been developing and producing electric power steering motors – motors that assist the driver when turning the steering wheel – for over 25 years and have captured a market share of close to 50 percent, but the most exciting product in our automotive lineup is probably our E-Axle traction motor system which replaces the internal combustion engine and is the heart of the electric vehicle. The first car that uses our E-Axle will roll out in China in just a couple of weeks. We expect this business to grow and become one of our most important areas in the future. As for our motors, and other components, for home appliances and industrial and commercial applications, these are also business platforms that we are focusing on developing and we are actively strengthening these businesses through mergers and acquisitions. For example, last year we announced our plans to acquire Whirlpool Corporation’s compressor business – Embraco. Compressors and motors have similarities in terms of what components they use, and we believe that our brushless DC motor technology and Embraco’s compressors will complement each other well. Our robotic speed reducer business is also seeing a lot of growth due to the rise in demand for factory automation robots. Recently, we repurposed one of our HDD spindle motor factories to manufacture speed reducers instead in order to bolster our production capacity so that we can respond to the increase in orders. 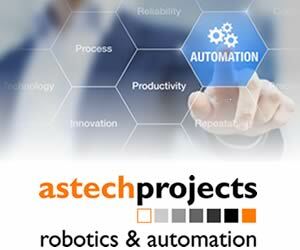 Another important area for us is our industrial robot business. The Nidec group manufactures large industrial robots that handle LCD panel substrates and smaller variants that transport semiconductor wafers. One year ago, we acquired the US semiconductor wafer handling robot manufacturer Genmark Automation in order to increase our presence in the semiconductor industry as this industry is expected to grow significantly in the future. In addition to manufacturing industrial robots, we also design and manufacture servomotors, motors that can be controlled precisely, for robots. You can find more information about our LCD panel substrate handling robots at the website of subsidiary which manufactures the robots, Nidec Sankyo. Below are some of the product categories that make up the bulk of our business. A motor is a device that converts electrical energy to mechanical energy. Motors are used widely in all kinds of appliances, machines and vehicles that we interact with in our daily lives. These very small motors rotate the disks inside hard disk drives at speeds of up to 15,000 rpm. In order to minimize vibration, HDD spindle motors use a technology called fluid dynamic bearings instead of ball bearings. Nidec supplies 80-85 percent of all HDD spindle motors used globally. Cooling fans, made up of motors and fan blades, move air in order to cool heat-sensitive components. Some cooling fans use the same fluid dynamic bearing technology as HDD spindle motors to achieve very thin, low-vibration designs that are suitable for use in notebook computers, among other applications. A speed reducer is a gear train that, when connected to a motor, reduces the rotational speed of the system and multiplies the amount of torque. Most applications that require motors also require speed reducers to achieve the desired output speed and torque. A generator is essentially the opposite of a motor as it works in the opposite direction by converting mechanical energy to electrical energy. Nidec made its full-scale entry into the industrial generator market when it acquired Leroy-Somer in 2017 from Emerson Electric. A press is a machine that shapes or cuts a material, such as sheet metal, by applying pressure. Press machines are used when manufacturing various types of parts, including small precision components and large vehicle body parts. Automated guided vehicles, or AGVs, are mobile robots used to transport material in factories, warehouses and other settings. Conventional AGVs rely on magnetic tape embedded into the floor, but there are also AGVs that use sensors for navigation in order to move around more freely. A compressor is a device that compresses gas. Compressors are used as a component in the vapor-compression refrigeration system that cools the insides of refrigerators. R&AN: What are the new products and markets Nidec is developing, the ones that perhaps are not big revenue generators now but are long-term investments? We are currently focusing our research and development efforts and investment on five big industry-wide trends, the first one being the electrification of automobiles. As I mentioned earlier, we aren’t new to automotive motors in general, but our recently developed E-Axle marks a first for us as this is the first time we take on the main motor that replaces the engine. This product is definitely a long-term investment as we have spent a lot of time and resources on developing the motor, and built a 66,000 sq m factory in Pinghu, China to produce it, and we are just now starting to see the fruit of these investments. Our medium to long-term target is 10 trillion yen ($90 billion) in sales for the entire company group in FY2030. We expect 40 percent of this to come from our automotive business. The E-Axle is instrumental in achieving these numbers and has the potential of becoming our most important product. Also, apart from the “standard” traction motor system for electric vehicles, we are also working on some more futuristic projects like in-wheel motors – motors designed to be fitted inside the wheel hubs. Another area that we are focusing on developing is robotic speed reducers. The robotics industry is growing rapidly and as a result, high-precision speed reducers for robots are in high demand. There is a lot of potential for further growth so we are strengthening our production capacity by building new factories – we recently opened one in the Philippines – and by repurposing existing factories that used to produce HDD spindle motors. Our super flat robotic actuator with an integrated motor actually started out as a stand-alone speed reducer at first. The third trend is automation in logistics and agriculture. With the rise of e-commerce and automated warehouses, we are seeing a lot of potential for growth in the market for automated guided vehicles. Because of this, we have developed our own AGV that uses laser positioning to navigate instead of relying on magnetic tape entrenched in the floor. It also has some other interesting functions like the ability to track and follow a human, or another AGV, and the ability to synchronize its movements with other AGVs and work together to carry large and heavy objects. Although our AGV is primarily a product meant to be sold, we also use it in many of our own factories as well. In agriculture, drones are receiving attention for their productivity benefits as they are ideal for crop monitoring, can be used for crop spraying, and can help ease labor shortage as well. Our motors are ideal for use in drones due to being lightweight, compact and highly efficient, and there are already agricultural drones on the market that use our motors, but there is definitely a lot of room for growth in this area. The fourth long-term growth area that we are focusing on is the evolution of smartphones and IT equipment associated with the advent of 5G. With the enhanced performance that comes with 5G, video content is expected to become the new killer app. This means bezel-less phones with a higher screen-to-body ratio. One of our newest products is a geared actuator that makes the front-facing camera pop out from, or retract into, the top of the phone so that bezels and notches can be removed and screen size maximized. Another interesting implication of 5G is the challenges posed in terms of heat dissipation. As performance increases, so do the requirements on thermal management. Nidec has a long history of developing cooling fans for use in IT equipment and home appliances, but smartphones generally rely on passive cooling as fans would make the devices heavier and larger while also draining their batteries. In order to expand our offering of cooling solutions, last year we acquired 48 percent of a Taiwanese manufacturer of non-air based cooling solutions like heat pipes and vapor chambers. Another benefit of working closely together with this company is that it makes it easier for us to combine our cooling products into modules with higher added value. The fifth and final large-scale trend is the move towards high-efficiency home appliances driven both by consumer demand and, in some cases, regulations. This isn’t a case of the home appliance market itself growing, but rather an increase in demand for energy efficient components. Although not necessarily related to new products or markets, this may deserve a mention as it is an interesting trend that reflects a shift in society. Energy efficiency has always been important to us as our company was founded in 1973 by an engineer who was convinced that highly efficient brushless DC motors would become the future, so now that home appliances are increasingly being designed to utilize these motors over less efficient brushed motors, this presents a very big opportunity for us. R&AN: How is the wider robotics and automation sector changing from Nidec’s point of view? Automation and motors go hand in hand so, as you would expect, the emergence of autonomous cars, electric vehicles and various types of robots has a very tangible effect on our business. Although it may still take a while before fully autonomous cars become mainstream, we are getting closer. For example, “drive by wire” technology, one of the preconditions for autonomous driving that involves replacing mechanical components with electrical systems, is getting increasingly common. Instead of having mechanical linkage between the steering wheel and the wheels, or the brake pedal and the brakes, the inputs of the driver – or the computer if the car is fully autonomous – are converted to electric signals and sent to electric motors that control the wheels’ direction, brakes and throttle and so on. In addition to being a necessary step in the evolution towards autonomous vehicles, drive by wire technology has other benefits as well such as weight and space reduction. Of course, there is the issue of safety, which is where redundancy comes into the picture. Critical parts of the systems are duplicated as a safeguard to increase reliability. This has major implications for Nidec as potentially the demand for some of our automotive motors, like our electric power steering motors, could double as a result of redundancy requirements on safety-critical systems. All in all, we expect the progress of autonomous driving and the spread of electric vehicles to significantly affect our company and in our vision for FY2030 automotive components represent 40 percent of our entire business in terms of sales – the current figure is at 20 percent. When it comes to robots, the growth of the market cannot be overstated. Nidec manufactures both motors and speed reducers for robots, and for speed reducers, in particular, there is a significant supply-demand imbalance due to the limited number of suppliers. In order to keep up with the orders, we have had to repurpose two factories that used to produce other components, one in the Philippines and one in Japan, to increase our production capacity of speed reducers. We also recently opened another plant in the Philippines. A number of factors combine to accelerate the growth of the robot market. Here in Japan, the working age population is in constant decline due to the decreasing birthrate and aging population, so many people turn their eyes toward robots as a solution to labor shortages. Traditionally, industrial robots have seen most use in the automotive industry but now they are becoming increasingly common in other areas as well. The rising wages in developing countries is another factor that contributes to the penetration of industrial robots. Although still not as common as their industrial cousins, service robots are also on the rise. For example, convenience store chains over here that are hard-pressed to staff their stores around the clock are looking at robots as a potential solution. Robotic vacuum cleaners, lawn mowers, and even window cleaners have already become commonplace, and in the not so distant future we could see more advanced robots for personal use that are capable of performing more difficult tasks. In Japan, nursing care robots are also receiving attention. Although one might expect that caretakers would prefer humans, surveys suggest that many feel a psychological burden from being taken care of by humans, so there definitely seems to be a place for robots in nursing care. 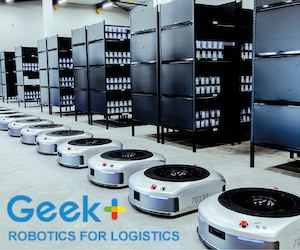 The logistics sector is also embracing robots as long tail e-commerce has had a significant impact on warehouse management. As inventories are diversified, efficient storage and retrieval becomes even more important. While conventional AGVs rely on magnetic tape, advances in sensing and mapping technology have made it possible for newer ones to move around freely and avoid obstacles while calculating their routes in real time. R&AN: You say that you are making components light and smaller. How do you do that? Is it through different materials or some other technical achievement or breakthrough? One of the earliest examples is our spindle motors for hard disk drives. HDDs started out very large and gradually got smaller and smaller until they were small enough to fit inside notebook computers. Naturally, the components inside the HDDs had to evolve in the same way so our engineers constantly had to look for ways to develop smaller and lighter designs. Now, we are applying this know-how to other components as well. The specific methods that we use vary from product to product. For our automotive products we use CAE – computer-aided engineering software – to run simulations and determine the necessary thickness and sturdiness, and then we adjust our designs accordingly. When it comes to automotive parts, safety always comes first, so we never compromise on quality, but there is a lot of emphasis on compact and lightweight designs in the automotive parts industry as over-engineered and unnecessarily large and heavy components negatively affect the efficiency and range of electric vehicles, as well as passenger space and design freedom. Another way that we downsize our motors is by making their magnetic circuits smaller with the help of technologies that we originally developed for the IT market. R&AN: Tell us more about your “super flat robotic actuator”, as you call it. What is it and how does it integrate with other components? The “super flat robotic actuator” – a translation of its Japanese name – was born out of a collaboration between our speed reducer and motor business units. The product is based on the FlexWave high-precision speed reducer that we originally developed for robotic wrist joints. One of the features of the FlexWave is that it has a hollow shaft that wires can be passed through, and one day one of our engineers realized that if we could develop a powerful motor that was small enough to fit completely inside this shaft, we would have an extremely flat robotic join actuator that would take up less space than a regular motor + speed reducer combination. After realizing this concept and developing it into an actual product, we then went on to win the grand prize in the Top Manufacturing Parts Awards presented during the Japan Manufacturing Conference 2017. In addition to its benefits in existing applications, the thinner design also opens up new uses. For example, it can be used in compact exoskeletons. Normally, you would have to source the motor and speed reducer separately from different suppliers, but since we have both technologies in the same company group, we can integrate them and create optimized designs that would not be possible otherwise. This is one of our greatest strengths and one of the reasons why we have been actively engaging in mergers and acquisitions for so many years. Note: A previous version of the article may have appeared to suggest that Nidec is planning to launch industrial robotic arms, although the phrase we used was “factory robots”, not specifically industrial robotic arms. Newly acquired Nidec subsidiaries do produce small robot arms that handle LCD substrates and semiconductor wafers, as mentioned in the article. However, the company has since clarified to Robotics and Automation News that it does not have any plans to produce “factory robots” – meaning industrial robotic arms – of its own. We apologize for any misunderstanding.